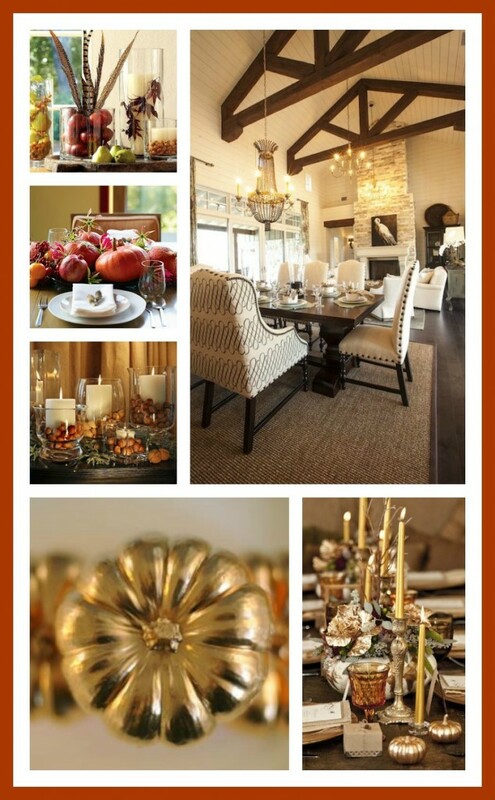 If your style is more chic, decorate for the season and create a warm, inviting space with rustic elements paired with metallic golds. Guests will want to linger long after the meal is served in this glamorous setting. DIY your own rustic luxe centerpiece with small sugar pumpkins and metallic paint and candles. Get inspired with more ideas from our photo collage.